First and foremost. Thank you everyone who helped with the Cover Reveal it really made me feel like I was living in the clouds. It was really one of the best experiences of my life ❤ seriously I can’t even begin to thank everyone involved enough <3. With all that said. I have a special thank you to one of my new best friends Hannah Pole. For hosting me on her very classy website/blog/facebook page. I had a blast, I truly enjoyed what we deemed as Becca Day – and if you are at all familiar with my other blog the Violet Hour Book Reviews, you know I do Stalker Saturday/Sunday which is sort of what we did on Hannah’s blog. It made me really appreciate Stalker Saturdays ❤ and if any of the authors I have done it with got half the enjoyment I did, then I am glad that I started them. And glad I am still going with them. ❤ Also she did a character reveal for me, and even made a few quote banners. ❤ Which I am going to share. Kay so thanks, character reveals….what else was there.. OH RIGHT! I must have fallen asleep again because when I woke up Audrey had her chin on my chest staring at me. I blinked a couple more times, making sure I was seeing right. She was smiling, her lips pulled tightly across her face, her scars bunching together, her other flawless side pushed up. Her clear eyes were sparkling in the light sunlight. “Beautiful.” I whispered my eyes searching her face closely. Her smile grew a little more before turning into a shy one. She hid her face in my chest and I felt her body shake slightly. She was giggling. “What? What is it?” I asked wanting to laugh along with her feeling of the heavy weight of the past rolling off my shoulders. “Nothing.” She peeked up at me, her voice muffled as her lips lay still on my chest. What I wouldn’t give to have my shirt ripped off at that moment so I could feel her lips on my bare skin. I swallowed and pushed the thought away. I moved my hand to touch her face, I couldn’t help myself anymore. I found myself touching it all the time. “You know what you are, don’t you?” I didn’t look at her eyes; I was too focused on my hand that was letting her long locks slips between my fingers. I kept combing and watching as I moved and she didn’t speak. “Why do you say that?” I asked still too afraid to look over at her. “I could never be what he wanted me to be.” Her voice was strangled. I looked at her and I saw the fine sheen of tears building in her eyes. “You are more than I could have ever hoped for.” The words slipped out, without warning, without hesitation. She moved up my chest, her hand touching over my heart, I think she could feel how hard it was beating. She made no indication that she did though. 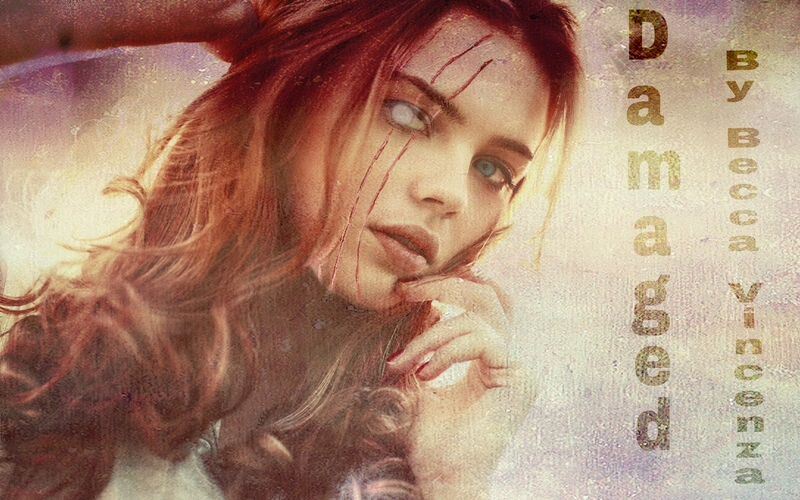 ← Cover Reveal: Damaged by ME!